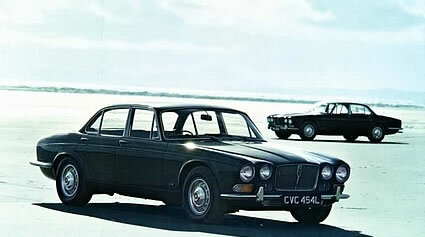 When jaguar launched the XJ6 at the 1968 Paris motor show, it met with rapturous applause. The car marked the beginning of a new era, breaking Jaguars mould of having two ranges. Where before there were the compact sports saloons – MK1 and 2, S-type, 420 – and the monsters – MKVII-x, 420G – now one model would serve both markets. In terms of economy of production, it made enormous sense and the new car really was good that it could be a world-beating sports saloon and a luxury limousine rolled into one. 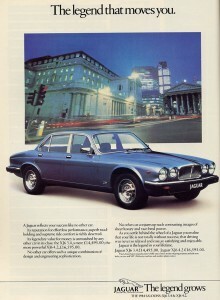 Of course, the XJ6 was not perfect in every detail – as time went on, criticism grew of its poor rear legroom, over-light power steering and limited heating, let alone the unreliable electrics – but fundamentally it was different league from the opposition and better than many cars double its price. It was one of the most convincing winners ever of the Car of the Year Award, which it collected in 1969. 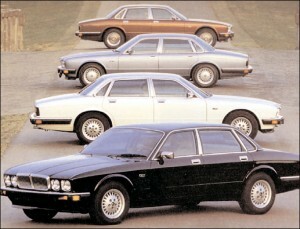 Unfortunately for the survival of the series 1 cars, the XJ6 was so good that it continued to be produced in basically the same shell with just gradual improvements for so long, that buyers of cheap secondhand examples moved on to series 2 and series 3 models before the classic market would recognize the series 1 as old enough – and outmoded enough – to be welcome. Now its purity of style with the final ‘full-height’ Jaguar grille, full chrome bumpers and rocker-switch dash are recognized, but it’s almost too late. It’s easy to forget that the first XJ6 is now 28 years old and youngest series 1 is 23: the numbers that have been dragged off to the crusher over the last 20 years are frightening. Worse, the fact that they have been such cheap cars for so long means that virtually all survivors have gone through a period of neglect. The lucky ones may have come out of it dirty and dented, but most have sustained damage to interior trim details, wiring looms, under bonnet details and exterior trim that will cost far more than they are worth to put right. It’s logical, when you think about it, that an XJ6 costs far more to rebuild than an E-type. As often happens, overseas enthusiasts have ‘seen the light’ on the series 1 XJ6 fist, so don’t expect it will be easy to pick up really sound survivor: the few that are out there are being snapped up by far-sighted dealers who know what they can get for them in Germany or the Netherlands. You may have to search far and wide to find a really original car, but it’s worth it: we say this often. But you can find. At least it is more difficult to ‘tart up’ a poor interior – which can be hugely expensive to put right – than it is to bodge the exterior, which is not quite so expensive to sort. Old Jaguars are not the most resilient of cars Mercedes will usually outlast them – but this is more than compensated for by the very reasonable cost of replacement parts, which are widely available. A trawl through the pages of Jaguar Enthusiast or Jaguar Driver reveals an astonishing number of specialists catering for these cars. Which model you choose will of course depend on your needs and circumstances, but there are more differences than you might think. Many people will tell you to steer clear of 2.8s: they were built down to a tax limit in certain overseas countries and have little other merit. Many were built to base specification for fleet sales with no leather in the trim (others had leather centre panels to the seats), no rear folding armrests and simplified door panels without pockets. Check the size of your legs and garage before buying, too: the long-wheelbase option from October 1972 gave much more rear legroom, but you may find (like my farther) that only the short wheelbase will fit your garage. Interestingly, if restoring a short-wheel-base car you will often have to cut down LWB parts. Daimler versions are truly badge-engineered as far as exterior and running gear are concerned, but did feature a few internal trim differences: wider pleated seats and wider armrests on door panels that also had chrome strips on black top panels. Worth remember if you’re souring the scrapyards or small ads for replacement trim… The good news for series 1 Jaguar XJ6 fans is that prices are now rising – one specialist we spoke to quoted a 30% rise in two years – and look set to continue. For the enthusiast, a good series 1 is so usable and so cheap and easy to run that it’s heard to beat as an everyday classic. : 1968 – 1973: Six-cylinder, twin OHC, 2,792cc: 180bhp at 6,000rpm; manual 117mph, 0-60mph 11 sec; auto 113mph, 12.6 sec. 4,235cc: 245bhp at 5,500rpm; manual 124mph, 0-60mph 8.8sec; auto 120mph, 10.1 sec Prices: £200 – £400: Scrap 2.8s and incomplete, unrestorable 4.2s £400 - £600: Complete cars useful for spares. Still not worth restoring £700 - £1,500: If you’re lucky, a sound car mechanically worn. Otherwise avoid £1,500 - £2,500: Reasonable 2.8s and some saveable 4.2s: but some not to…. £2,500 - £3,500: Good 2.8s, 4.2s needing only cosmetics, and some tart-ups £3,500 - £4,500: Best of the 2.8s, tidy and original 4.2s £4,500 - £6,000: Good, low-mileage original 4.2s £6,000+: Restored cars, concours cars and outstanding original ones.